Every now and again, we find something that's a little bit different from what we usually see, something a little more interesting. 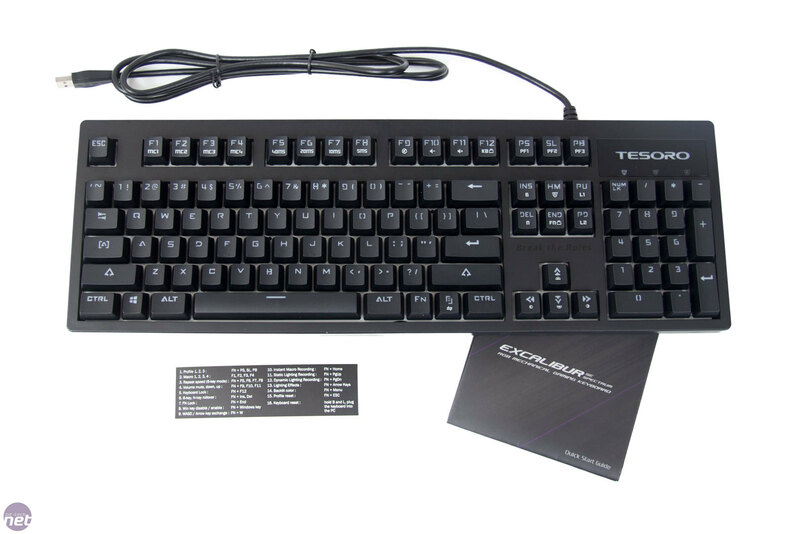 Tesoro has managed to give us just that with its Excalibur SE Spectrum Optical keyboard. 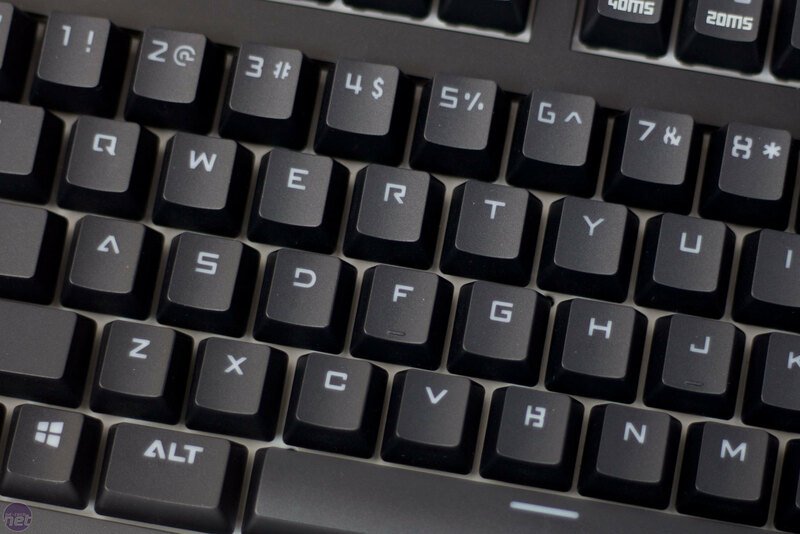 This keyboard, as the name suggests, has optical switches rather than the standard metal-contact, mechanical switches we are used to. We have been wanting to get our hands on some of these for a while, and it will be interesting to see if there's a noticeable difference between these and standard mechanical switches. 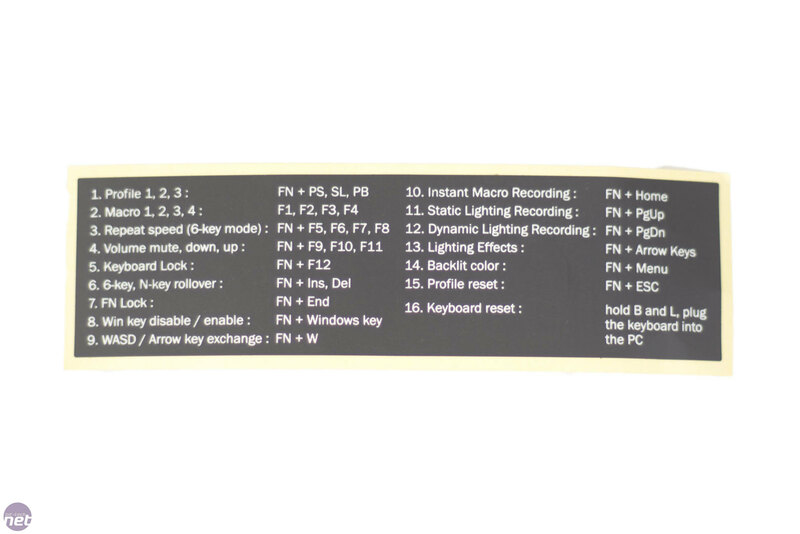 Inside the packaging, you get the keyboard, a user guide, and a sticker with all the function combinations listed. The sticker is a great help when first getting used to the keyboard, but we will go over that later. 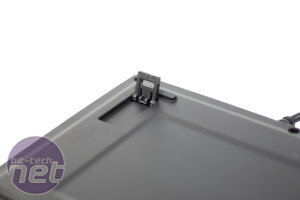 Tesoro has not included anything else such as a keycap puller. The keyboard itself is simplistic and very sturdy. It doesn't flex or bend at all and has a good quality feel. I am personally a big fan of keyboards that look like... keyboards. This is obviously a personal preference, and you might prefer something else completely, but less is more in my eyes. The 1.8m cable is unsleeved and firmly attached to the Excalibur SE Spectrum. 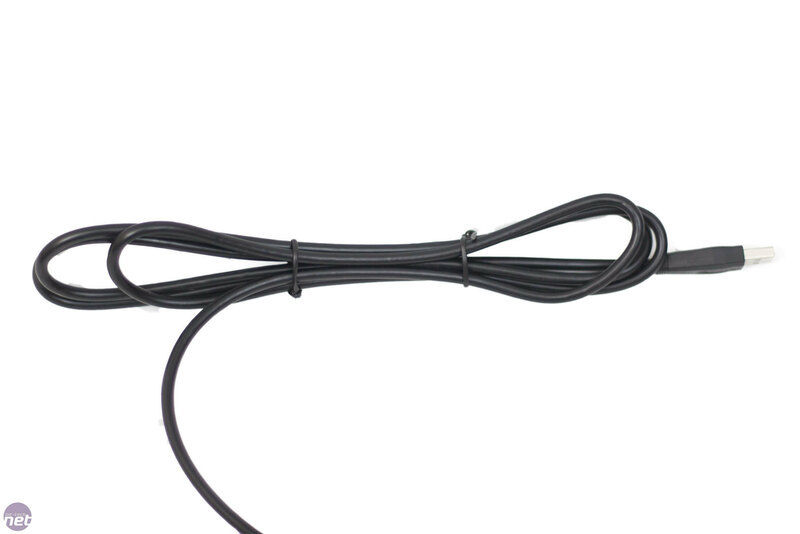 It's always hard to comment on whether a cable should be removable or not, as it's very much a personal preference. At home, I personally like removable cables so I can swap keyboards with the same connector without reaching behind my computer for the USB cable. At LANs, however, I prefer an attached cable to ensure no one can walk away with my keyboard when I use a cable lock. The font on the Tesoro Excalibur SE Spectrum is certainly not to my personal taste. Some of the letters are hard to read, such as the 'B', '6', and '8' keys. The font looks like something out of an Alien film. I don't look down at the keyboard often, but when I do I would like the font to be clear and concise, not something I need to think twice about. This is again down to the user's taste, though; some people will like the font for being something different and futuristic. This sticker can save you a lot of time. As the Excalibur has no software suite, you have to use the hardware to control all of the features. 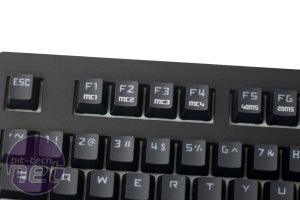 Until you get used to all of the different key combinations, you can refer to the sticker. 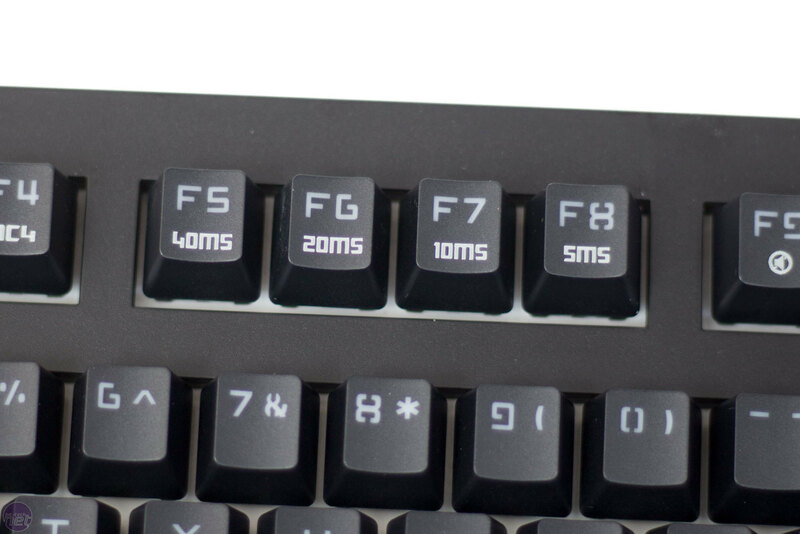 FN + F1-F4 are macro keys, whereas FN + F5-F8 change repeat rates. We didn't use these keys much at all. Recording macros with this keyboard is a little bit of a chore, and you don't have the same control or features as you would with software-based recording. It's still nice to see this feature included, though, as you can do simple key combinations with them. 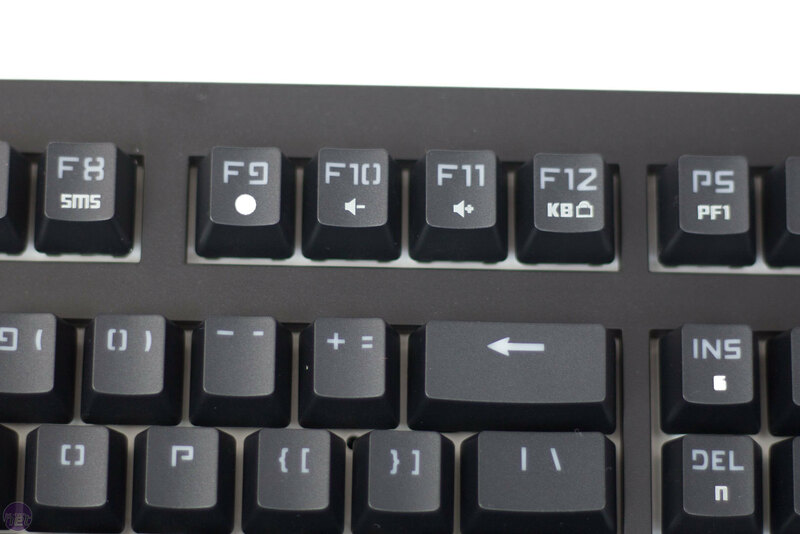 Using FN with F9-F11 allows you to control your system's volume. It would've been nice to see some dedicated media keys here instead, but again this is personal preference. 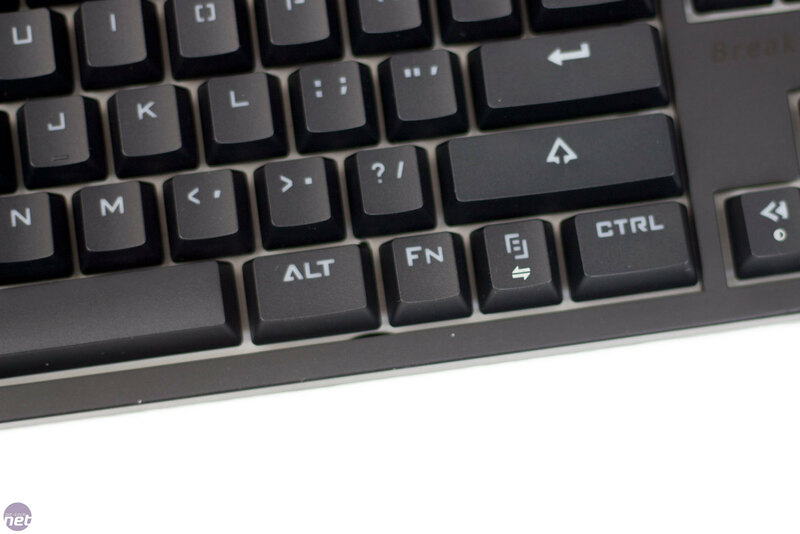 There are many other functions that are available when you use the FN key: There is a keyboard lock, Windows lock, macro recording, and much more, as the sticker outlines. The Excalibur SE Spectrum has RGB lighting included. Again, this is all controlled via hardware, and you are quite limited as to what you can do. Don't expect the same level of customisation as something like a Corsair, Steelseries, or Razer keyboard. 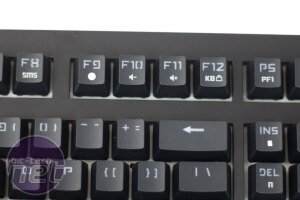 There is multi-colour, per-key backlighting available and also 10 dynamic lighting modes which can be scrolled through by using the FN key along with the arrow keys, and you can change brightness with the up and down keys. You can set static lighting effects too, but let's be honest, most people considering this keyboard will be wanting it for the switches. 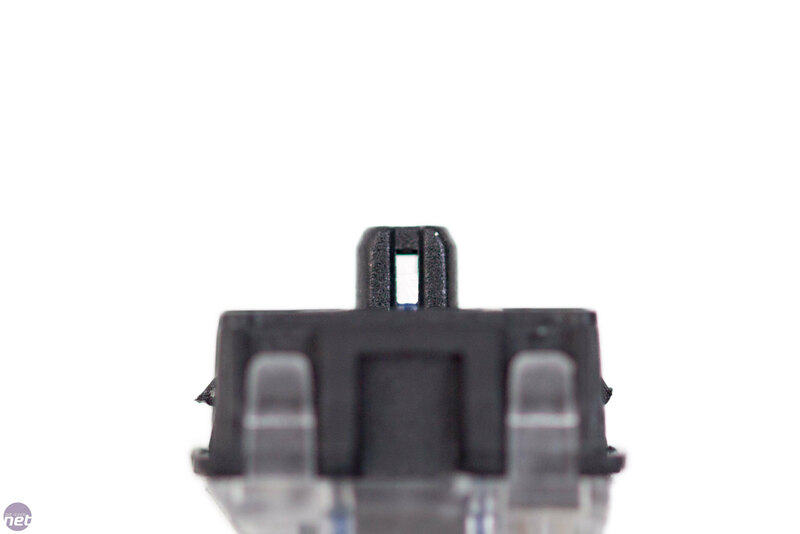 Here they are, the optical switches. A few different companies have played with the idea of optical switches. 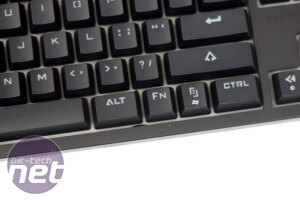 We know A4tech released the LK switch which is used in Bloody keyboards, and Adomax has its Flaretech switch which Wooting is implementing in its keyboards. These both use infrared technology, but neither are as popular as would be expected. In fact, we have only seen them at events. It seems Tesoro has used Gateron optical switches, which have a slightly different system but work with the same basic principle: An infrared beam can be broken with a key press, and it's this that sends the actuation signal - a Tesoro-produced video outlining how they work can also be seen here. 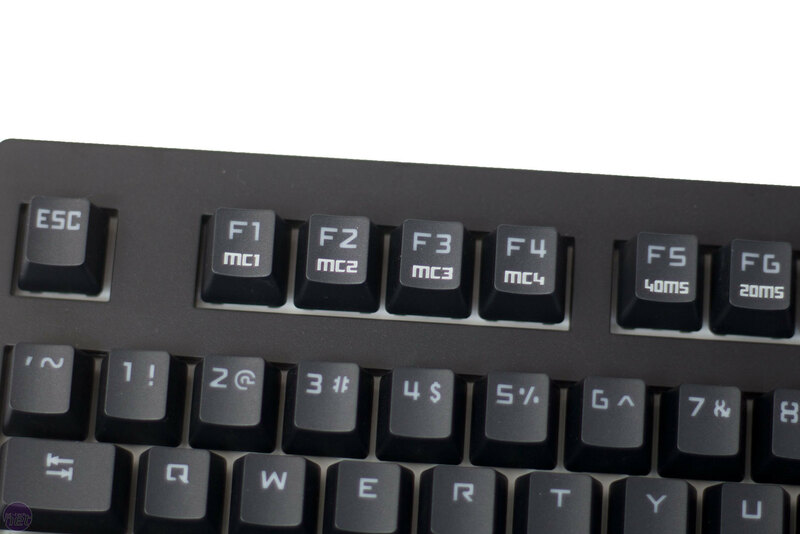 We received a blue switched keyboard, and these are very similar to Cherry switches in terms of force and click. 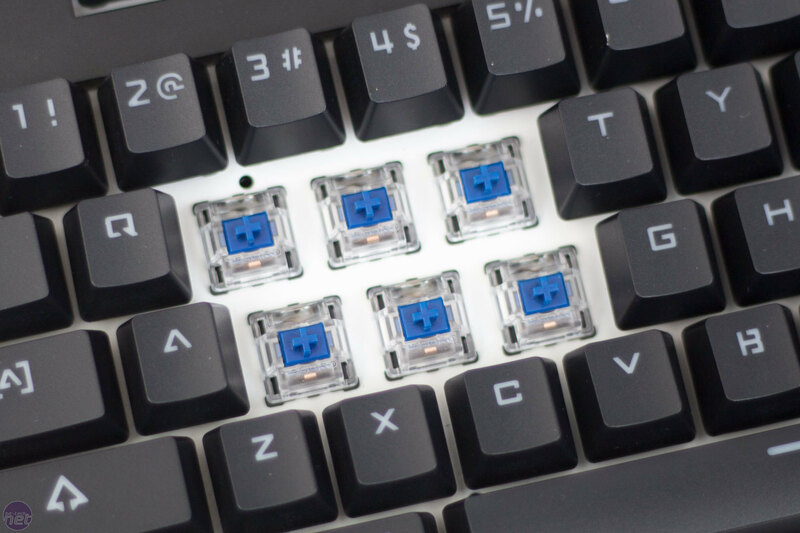 Currently, only blue switches are available with Tesoro, but we would expect this to change soon. 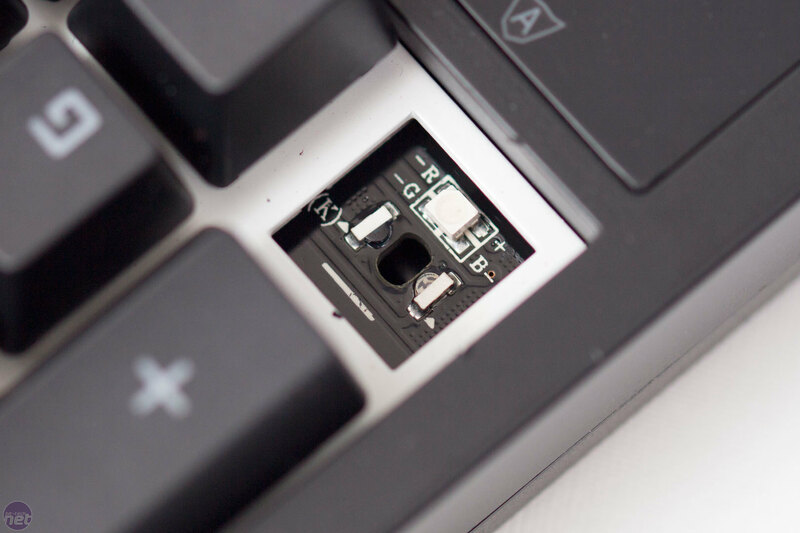 As these switches don't need to have any metallic contact with the PCB, you can physically remove them. You simply pull them off. 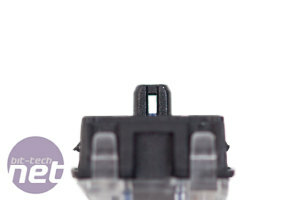 This means that if other colour switches are released, you will be able to swap them yourself without having to solder. It also means that if you do have a switch that sticks or starts to feel gritty for any reason, you'll be able to just swap it. 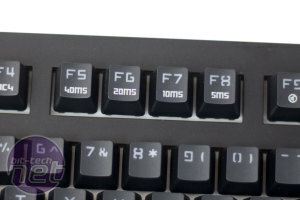 You would even be able to customise the keyboard so that you could have WASD set with linear witches while the rest of the keys were set to something different. So, when pulling the switches off, there are no metal prongs like on usual switches. Instead, there's a hollow stem with a little gap. Usually, the infrared beam would be passing through this gap, but as you press the switch, the plunger breaks this beam and actuates it. In theory, this will increase the speed of the switch. 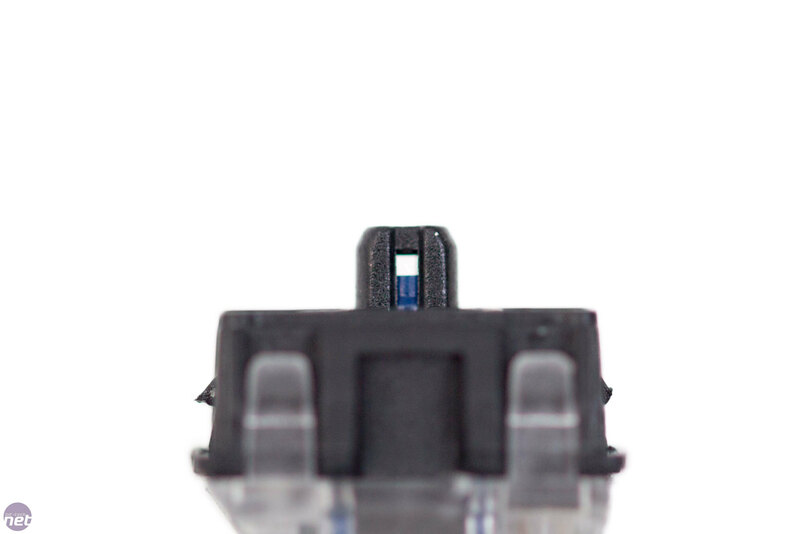 Tesoro claims its optical switch has a response time of 0.1ms, which is twice as fast as traditional mechanical switches. The plunger doesn't need to be pressed the whole way down to actuate; it just needs to break the IR beam. Once you get used to doing this, in theory, the switches will be faster, as the travel distance will be reduced. Due to the way this switch is made, it doesn't really matter if it gets wet or dirty; as long as the plunger can break the beam everything will work fine. 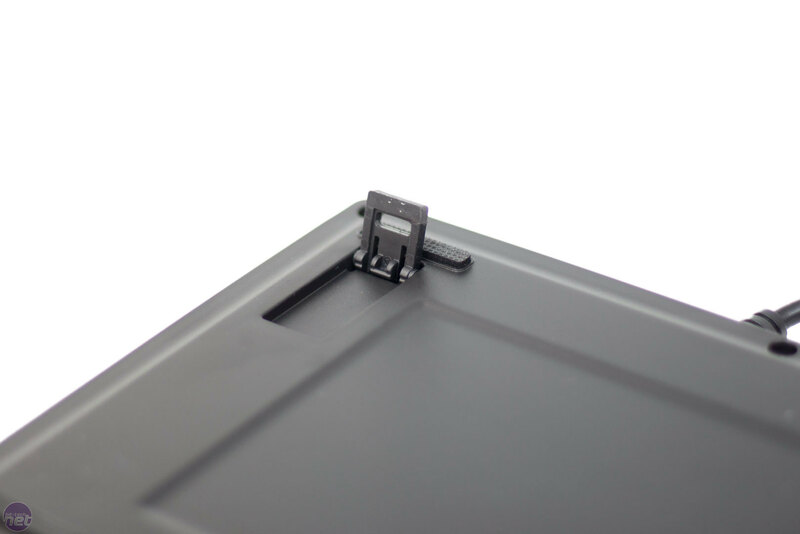 The metal leaf inside the switch doesn't affect performance and doesn't matter if it oxidises, and there will be no wear and tear from usual metal contacts. This should prolong the life of the switch, so much so that Tesoro claims a key lifespan of 100 million keystrokes! The switch is visibly similar to standard switches, but there are some stark differences too. 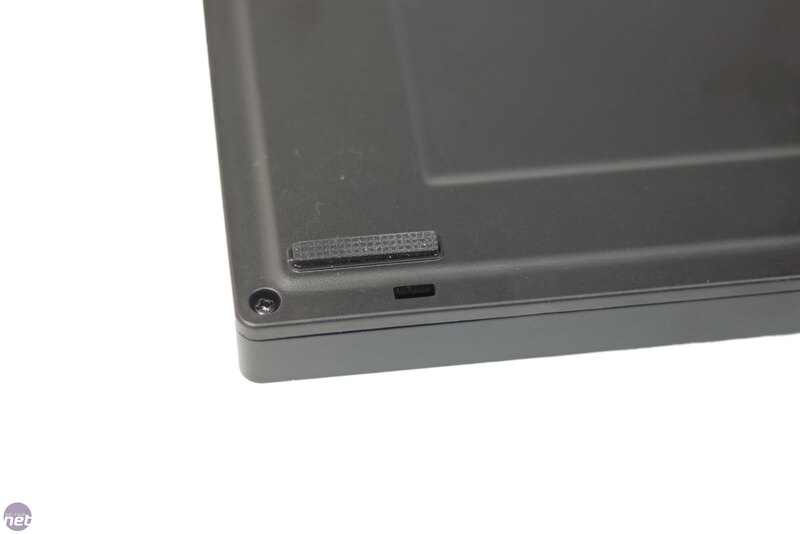 Usually, the metal leaf that is housed in the black plastic has two functions. The first is to complete a circuit when the key is pressed to send the actuation signal, and the second is to give us the feedback and click. With the Tesoro Excalibur SE Spectrum, this is only serves the latter purpose. 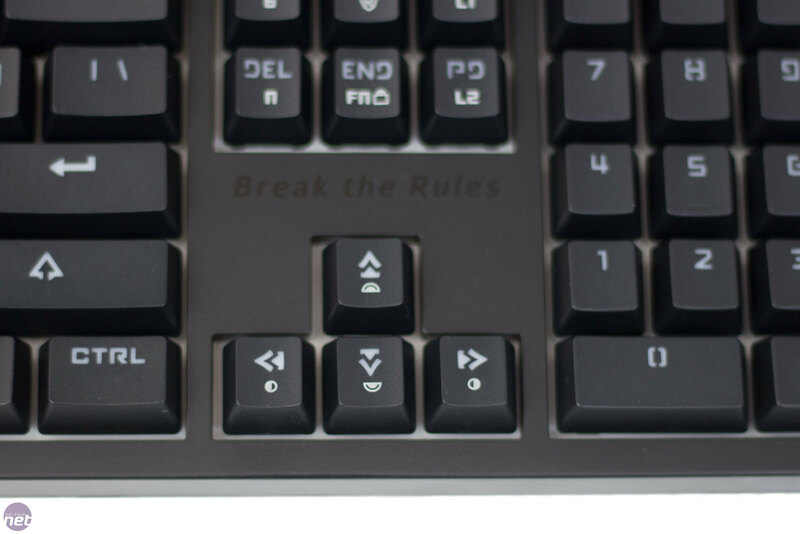 The way these switches are made should reduce the amount of key chatter that can be caused by the metal bouncing, resulting in multiple key presses. If we turn the keyboard over, there are four rubber feet and two flip-out feet. 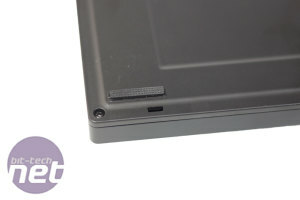 It would have been nice to see more substantial flip-out feet, as they do feel a little flimsy compared to the rest of the keyboard and have a tendency to collapse under the keyboard a little more than we would usually expect. 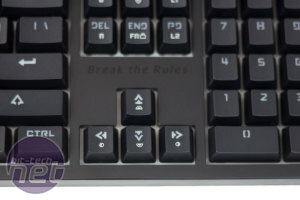 So far, this review is mostly information on the switches; we wanted to make sure they were explained before mentioning how well they actually worked when we used the keyboard. In short, the switches work, and there was no key chatter, double presses, or any other issues. This can be said for the traditional Cherry-style switch, though, as 99 percent of the time, they work as well. I have personally had a few traditional Cherry-style switches which have had problems, but I have used literally hundreds of keyboards, so I expect there to be a small number of issues from time to time. I would hazard a guess that if we used hundreds of keyboards with optical switches, there would be some kind of failure rate too. The question is, will optical switches stop all of these problems? Maybe. At this stage, that's as definitive as we would dare to be. 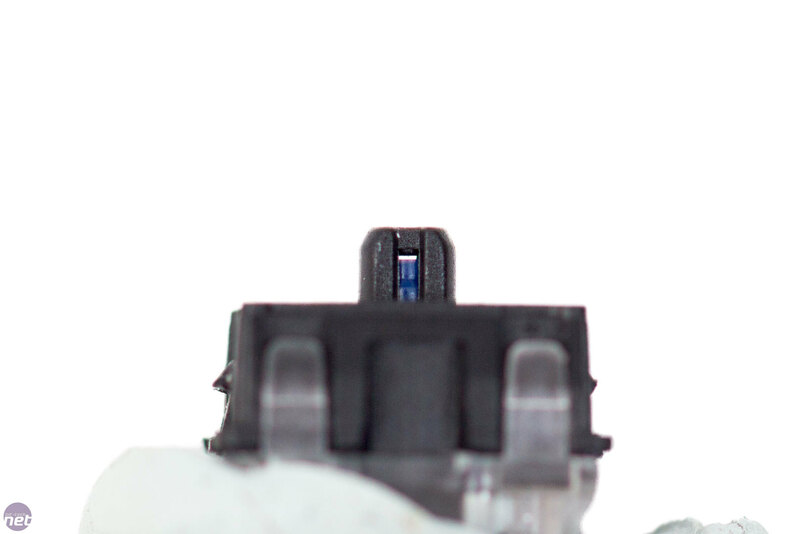 This is the first time we have used optical switches for any length of time, and although there have been no problems yet, we don't know what may happen further down the line. The theories all seem to check out: Less metal means less oxidisation; no metal contact means less wear and tear; double keystrokes should be eliminated or at least reduced, as there is no metal bouncing, and they are less prone to dust or liquids affecting them. So, our verdict on the switches? At the moment, they seem to be perfectly fine and do exactly what they say. The ability to pull the switch out and swap them is a great bonus, though; this could really change how we set up our keyboard. 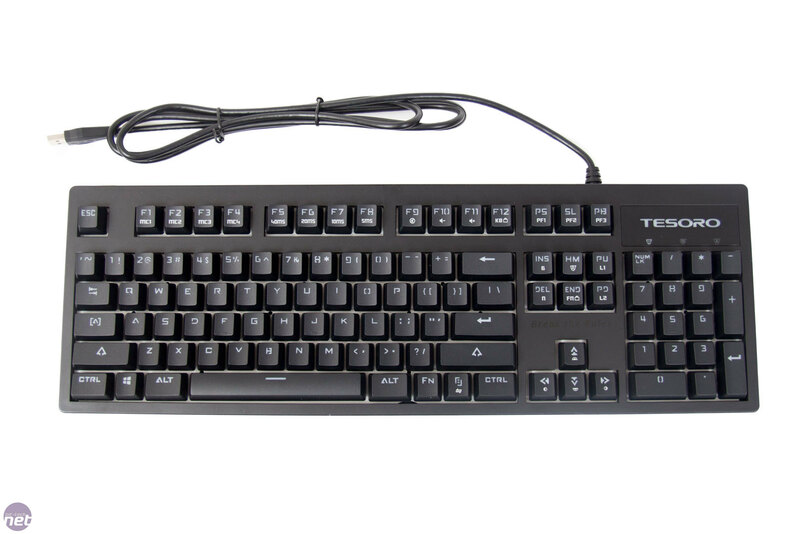 The Tesoro Excalibur SE Spectrum is a very interesting keyboard. On one hand, it's a relatively simplistic keyboard with pretty standard features. Lighting options are very limited, and macro recording is reserved for very basic key sequences, although pricing is considerably less than the flagship Corsair and Razer models where this complexity is increased exponentially. On the other hand, the switches seem to be a viable alternative to the usual mechanical switches we're so used to. 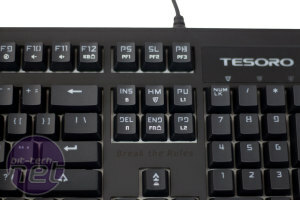 These switches will be the main selling point, and if they stand the test of time, Tesoro may have started a big change in the keyboard market. Currently, if you want a change of switch, most people will buy a new keyboard, and this can be pricey and gives you something else you have to get used to. 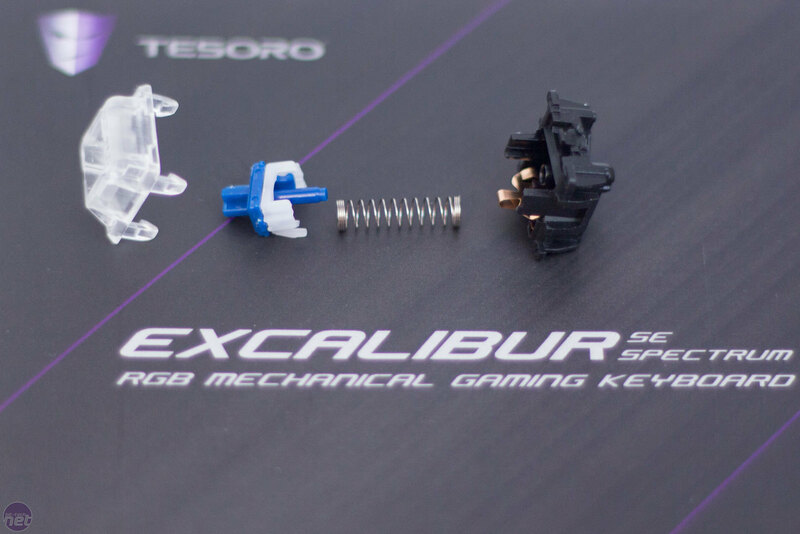 With the Tesoro Excalibur SE Spectrum, you could just swap the switches out, assuming they are made available separately. So, the final verdict. Well, it has been a really hard review. Everything works, and it could be a game-changer. The big problem is that this is relatively new technology, and issues haven't shown up... yet. There might never be issues, but only time will tell. These could very well be the future; they certainly feel, look, and sound like standard mechanical switches. If all the other claims turn out to be true, which so far they seem to, then this could be a change to how we use keyboards. 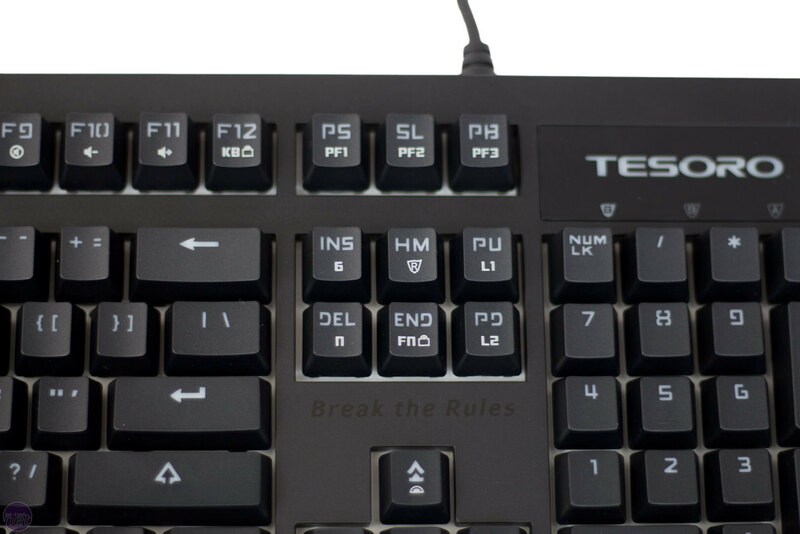 The Tesoro Excalibur SE Spectrum isn't the first keyboard to use optical switches, but it is the first we have seen to hit the mass market. As such, we are going to break out the Technical Achievement award - hats off to Tesoro for breaking the mould; let's see if it pans out well. 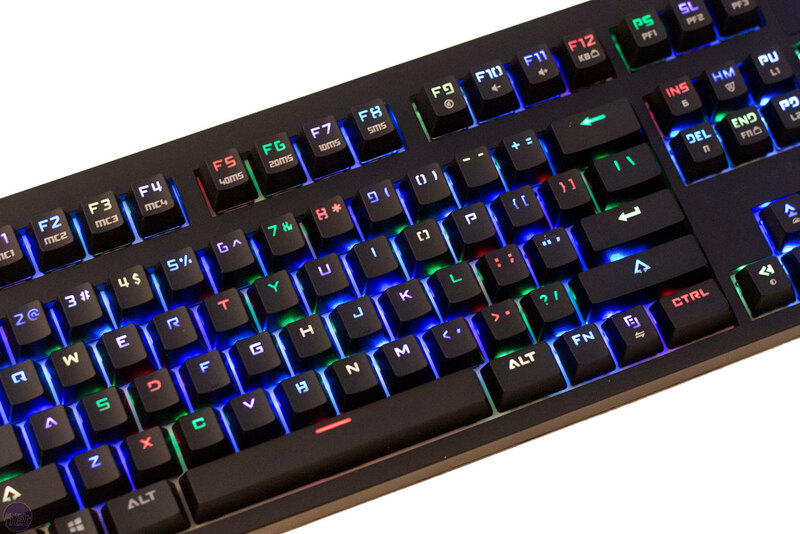 This eye-catching white keyboard is water-resistant, fully programmable, and has per-key RGB lighting.